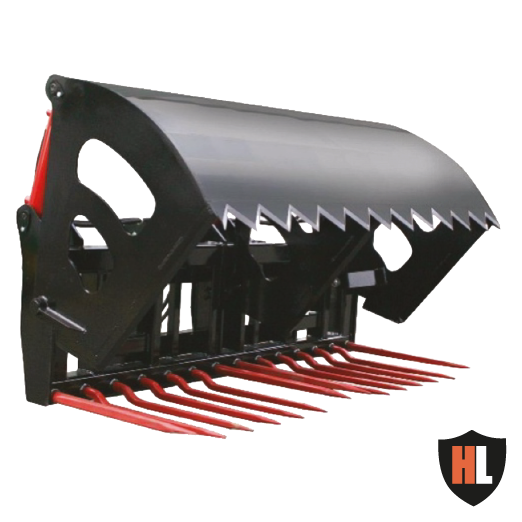 The Hardlife Silage Shear Grab is designed to cut silage blocks from the silage pit, leaving a smooth face that is sealed to prevent spoilage. The roundabout front profile of the grab is forced through the silage in a circular motion, reducing the cutting force required and ensuring an efficient clean cut. It requires a third hydraulic control circuit to activate the grab/cutting portion of the attachment. Please feel free to Contact Us for more information or help regarding any of the Hardlife Bale & Silage Handling equipments sold exclusively through Bucket Warehouse.